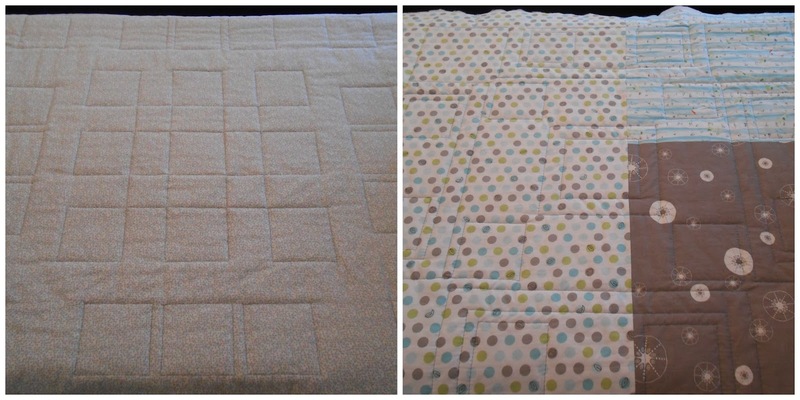 Those delicious baby quilts I've been making, I mean. 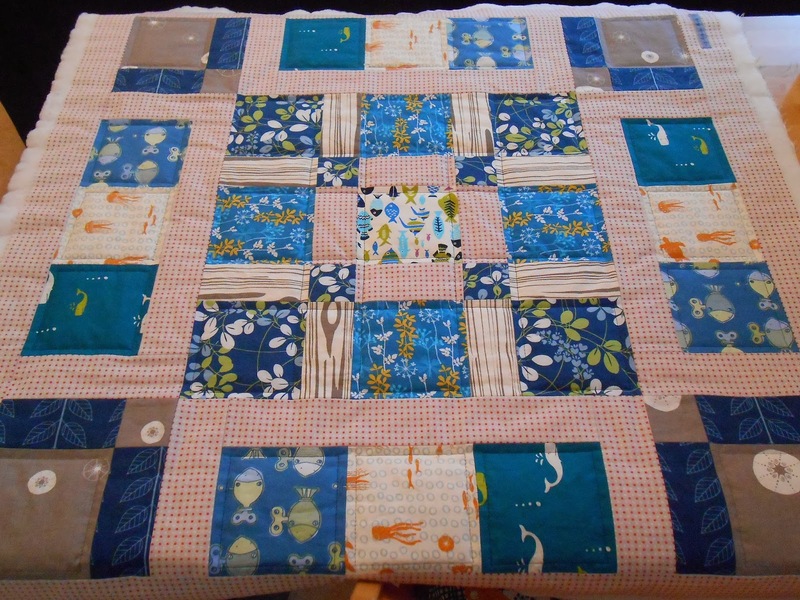 I've been quilting away both Saturday and Sunday afternoon, taking my time and burying a lot of threads. Basically I'm sticking to easy straight line quilting next to the seams to accentuate the prints whilst keeping it simple. Initially I was scared that the flannel back of the first quilt might pose some trouble but, thankfully, quilting has been a dream. 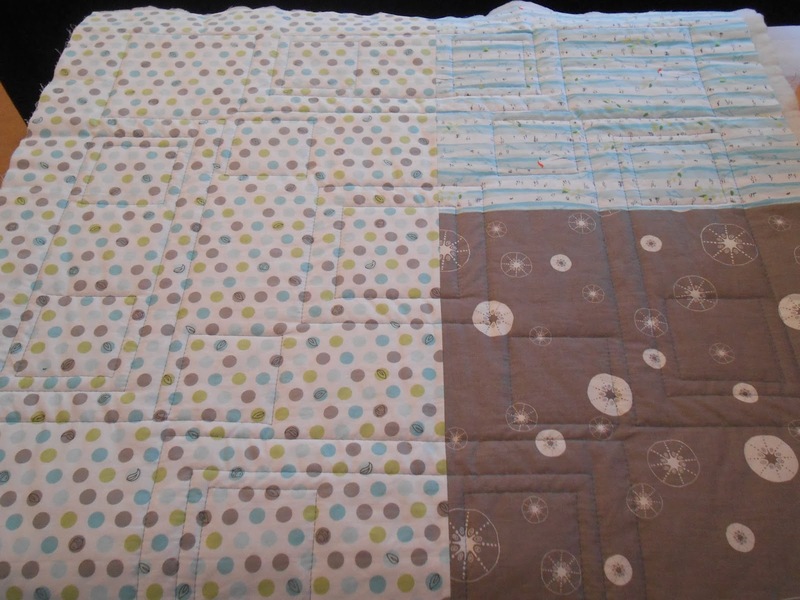 The second quilt follows mostly the same pattern but the centre piece is dealt with slightly differently. 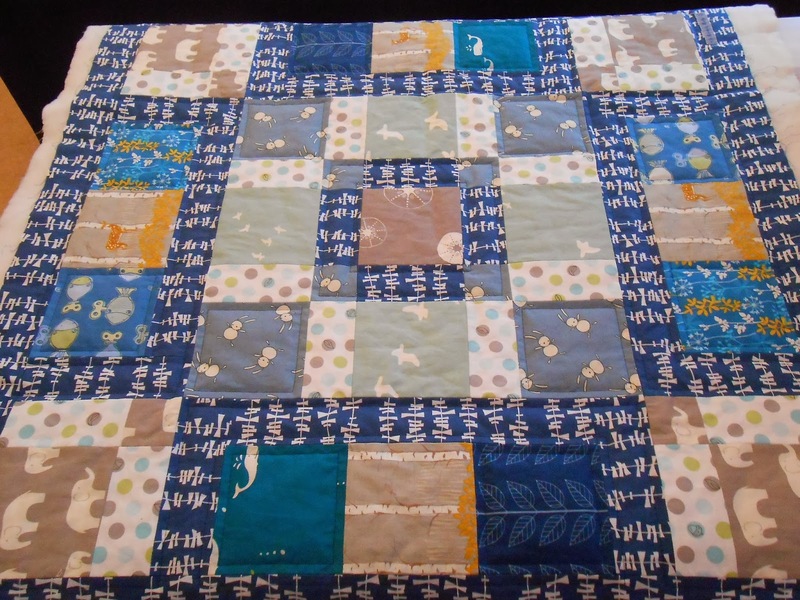 To keep thread changes to a minimum I quilted the blue bits of both quilts before changing to grey. Both quilts lack only a few more lines. I badly want to get started on the binding because that is certainly something I could occupy myself with during the evenings after work. Most times I'm too tired to do anything creative much. However, I'm more confident than ever to make my deadline and deliver these quilts on time. I hope you're all having a fantastic week and happy sewing! They look great! And I love the quilting pattern created on the back. Super job on both of them; I love the designs. 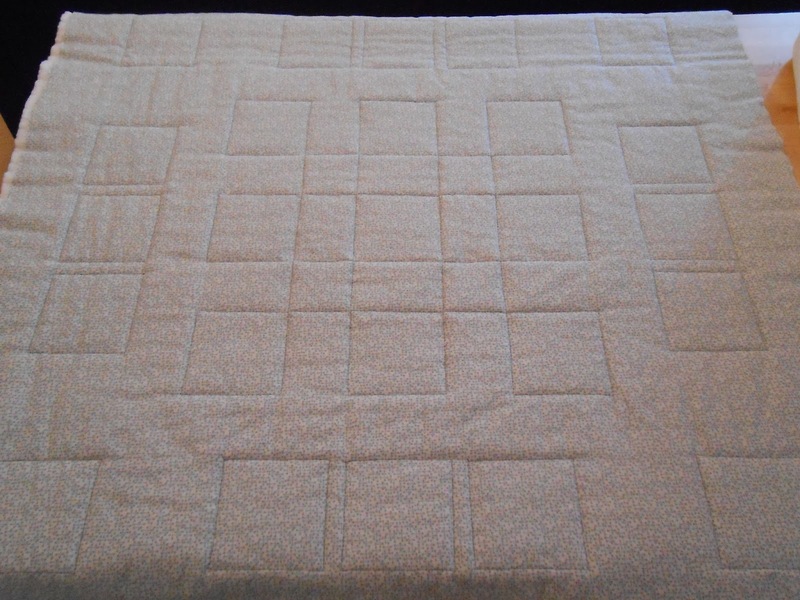 The straight line quilting sets the pattern off perfectly. Leaving on a ... Sailboat?